Gypsy Jazz often inspires visions of France, but we’re exploring what happens when the genre goes south. 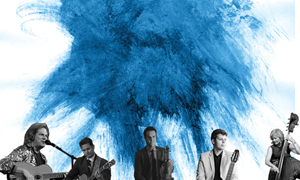 This performance brings the best Gypsy Jazz performers in the world, the Hot Club Dream Camp Faculty, to Crested Butte. One stage, one night, one show you won’t want to miss!